Thanks to the efforts of Mike Berdan and Jack Nakel, we are pleased to provide scans of the subject book in Adobe pdf file. These scans are quite large and may take some time to download. This book was orginally published by the 315th Bomb Wing Association in the 1980's. There were 2 editions. The scans provided here are from the 2nd edition. There have been a couple of editorial changes made in the crew photo captions for accuracy; however, there are still known mispellings in the rosters. Major Ralph Swann authored a history of the 315th Bomb Wing using as resources unit histories found at the the Air Force Historical Research Agency (AFHRA), Maxwell AFB, AL and interviews from some of the veterans of the 315th. Please see the linked file below, Preface to Book - Major Ralph Swann for additional details. 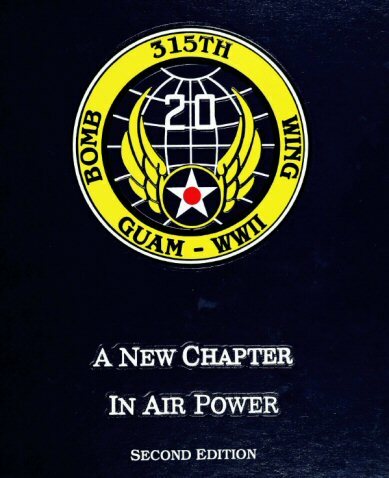 The 315th BW Association rounded out the book with narrative histories written by former unit members, crew photos obtained from various sources and rosters of the units compiled from various resources, such as, copies of official orders and individual unofficial unit publications completed after the war. Alternatively, the book is broken down into sections that you may view via the links below. History of the 315th Part 2, by Ralph Swann, pages 30-57.